55 year old female with feeling of dry eyes OD > OS . What is the most likely cause for her clinical appearance that is shown in the accompanying photo? 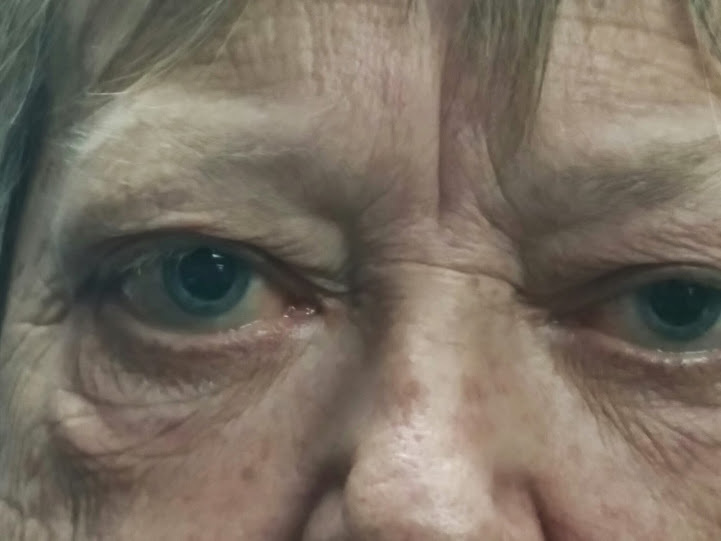 This patient has OD proptosis in an an otherwise normal looking eye. The number one cause for unilateral or bilateral proptosis is Thyroid related exophthalmos. MRI of the orbit should confirm the diagnosis where in soft tissue enlargement associated with enlarged muscle bellies give a characteristic appearance.